Call Me By Your Name, a new (Merchant) Ivory film. Yeah. Once a year, critics descend on a film to anoint it and declare it a film fit for grown-ups. Looking around, it’s not hard to see why. Every week, cinema goers are presented with a cast of interchangeable superheros who stand immobile against a green screen, as A N Other arch villain is CGId behind them, and the walls and ceiling of the cinema are engulfed in a blast of flames and a wall of sound, as the studio responsible attempts valiantly to disguise the complete absence of a story by burying us all in the 21st century’s answer to sturm und drang. Given that all serious drama aimed at grown-ups has long since migrated to television, it’s hardly surprising then that any stray film that somehow slips through the cracks in the system to momentarily appear on the silver screen is instantly pounced upon. This year’s critical darling is Call Me By Your Name. And it’s, well, perfectly nice. The unusual I Am Love. Nominally, it’s the third film in Luca Guadagnino’s trilogy of desire, after I Am Love (2009) and A Bigger Splash (2015). But in reality, it’s the latest offering from the Merchant Ivory conveyor belt. And therein lies the rub. Because what you think of it will depend very much on what that means to you. Producer Ismail Merchant and director James Ivory were life and creative partners for half a century and produced some 44 features together. Films like A Room With A View (1985), Maurice (’87), Howard’s End (’92), Jefferson In Paris (’95) and Surviving Picasso (’96). 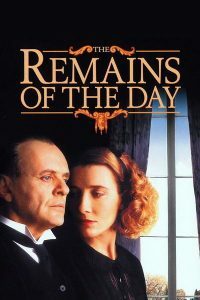 Solid, dependable, professionally produced dramas revolving around a reliable roster of regular thespians blithely disporting their middle brow culture and earnestly extolling a liberal arts education – the majestic the Remains of the Day is merely the glorious exception that goes to prove the rule. 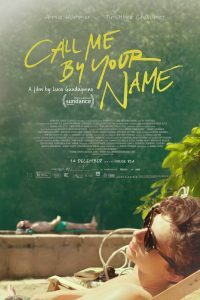 Call Me By Your Name was adapted by Ivory, Merchant having passed away in 2004, and only latterly became a Guadagnino project. Elio is a 17 year old boy spending the summer with his parents in their house on the shores of northern Italy, where their evenings are spent listening to Bach being played at the piano as they airily discuss the merits of Heidegger and Nietzsche. His father, a professor of archaeology, has invited an American post grad of his to stay for the summer, and Elio quickly finds himself attracted to the handsome American’s rugged good looks. The peerless The Remains of the Day. The boy reveals his feelings, and… they’re reciprocated. 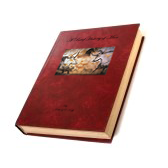 Meanwhile, he loses his virginity to the girl next door, but when then he instantly cools on her, having lost his heart to the American, she responds with… complete understanding, and pledges her life-long friendship. And when his parents eventually cop… they’re completely supportive. In other words, there is absolutely nothing at stake. Everyone is so insufferably educated, and so overbearingly well brought up, that instead of a drama, all you’re presented with is a picture-postcard, wet-dream vision of a would-be idealised upbringing. No parents are really ever that understanding, and would that that were what the crushing disappointment of a shattered first teenage love really felt and looked like. It all looks marvellous, and it’s wonderful to escape into that sort of hokum for a couple of hours of a winter’s eve. But be warned, that’s all it is. If you’re hoping for Wagner or Bach, I’m afraid all you’ll find here is Tchaikovsky. Or, worse again, Puccini. Come to think of it, he’d have been a much more appropriate choice for the soundtrack. You can see the trailer to Call Me By Your Name here.